Friday, April 14, 1911: I spent most of my time indoors today for the weather was decidedly dreary and ugly. Had a time hiding pop corn this afternoon from Jimmie and Mother. Grandma seems focused on hiding pop corn from her 6-year-old brother Jimmie and her mother. Why?? Was there a shortage of pop corn? Had Grandma popped it—and she wanted to enjoy it herself? . . . .
A harmless dye for Easter eggs is made by boiling the eggs with onion skins. Put the eggs on to boil in cold water, with enough onion skins to cover them. Boil till the eggs are hard. They will come out in pretty shades of brown and red. Polish them with a soft flannel cloth. Two cupfuls of onion skins will color eight or ten eggs. I used white eggs and the outer skins from yellow onions to test these directions. 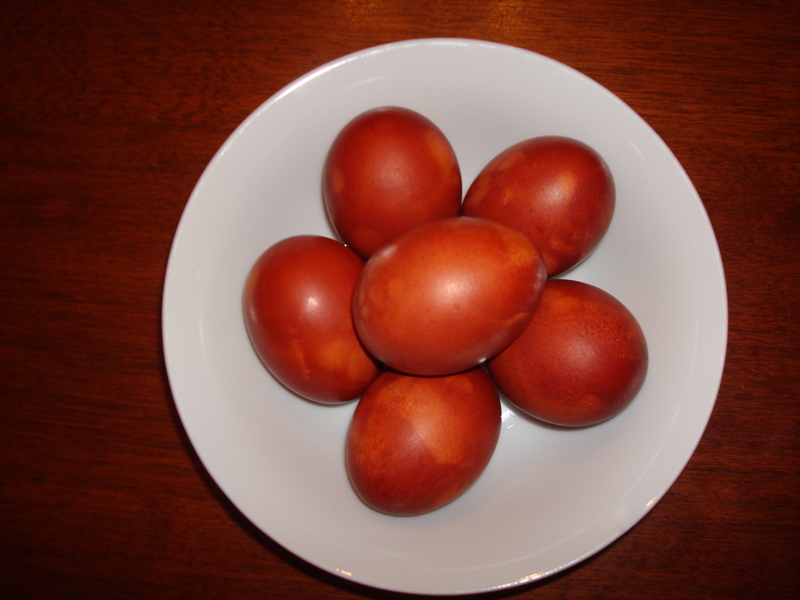 The eggs were easy to color–and the dyed eggs are a pretty reddish-brown. I’m amazed how the skins of yellow onions produce a dye that is so red. For a 4-H project once, I dyed wool with natural dyes. I definitely used onion – at least two types. I recall getting a yellow and a dark orange. I also recall that they smelled like, well, onions and you couldn’t get the smell out for anything. I guess that an advantage of dying eggs over wool is that once I drained the water off of them there was no smell. Thanks! Sometime I’d like to try using some other natural dyes (red cabbage, tumeric, etc. ), but first Dad and I need to eat the eggs I’ve already made. 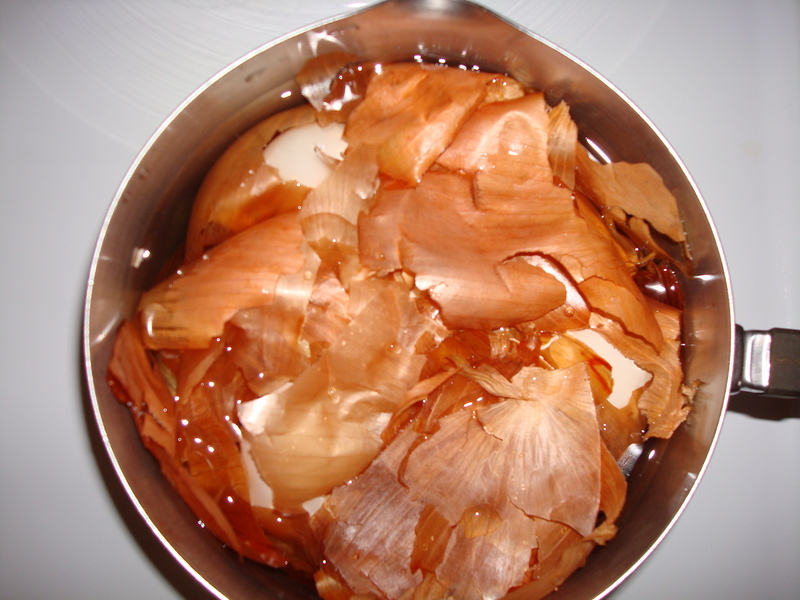 “Save Your Onion Skins” for making richer stocks and broths. It is nice to read other posts similar to mine, Loved reading it. I enjoyed your post–It’s amazing how many ways onion skins can be used.